What would compel any of us to name a fish? It isn't like it is going to come when you call it, but, then again neither do most cats! We name our pet fish for the simple reason that we want to bond and be close. We may not be able to take it for a walk or teach it tricks but we can sit and stare into the aquarium and get lost in the wonderment that is known as pet fish. Before you decide on the fish you want for a pet or the perfect name, you have to have the perfect aquarium and set up. Whether it is a 75 gallon aquarium or a small bowl you need what is perfect for you and your pet fish. You have to know how to look after your fish. You also have to be a "fish person". My daughter, try as she might, never bought "fish" she bought "victims". She did everything right, according to the books and at most, her fish would last a couple weeks. My brother, on the other hand, would grab the fish with a metal tea strainer, wash the bowl with soap and water, fill the bowl with tap water and plunk the fish back into the water and away it swam happy as can be. That fish lived forever. You want to make sure you know how many fish are appropriate for your aquarium size. Generally speaking, the rule is 1 inch of fish per gallon of water. So, if you have a 5 gallon tank or aquarium it would hold 5 inches of fish at most. Keep in mind that you have to account for the size of fish it will be not the size it is when you buy it. 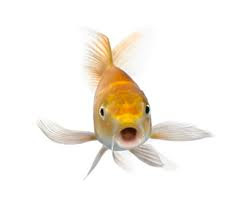 If your type of fish is known to grow to 5" by adulthood, then you can only put that one fish in a 5 gallon tank. 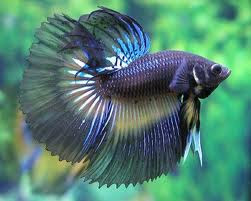 You need to get the appropriate aquarium equipment for the type of fish you want to have. Most tropical fish are going to need a heater in the aquarium. Do you want or need a filter? A dirty aquarium does not make for a happy fish. While fish aren't necessarily going to do tricks, they will need some playground equipment. There are all sorts of ornaments and "toys" to keep your pet fish happy. Make sure you locate your tank in a secure, non hazardous location. Over a heat register is not a choice location, especially for cold water fish. Do you want salt water fish or fresh water fish? Make sure you research what types of fish are appropriate for you, your children, your environment as well as your level of commitment. If you aren't into cleaning your tank as often as you should you may want to consider some type of algae eater fish as one of your fish. My daughter once had a snail that was suppose to eat algae. She was five at the time and she named her snail "Sleepyhead". It was the perfect pet "fish" name. We put it into her tank and it slept and slept and slept... Okay that victim didn't even make it home alive. Pet fish can also help in teaching young children about life and death. The first time my daughter had a fish floating belly up, she cried for hours. A couple months later and several fish later she just stood there holding the dead fish in a strainer and sang "Another One Bites the Dust". So, now back to why you are here in the first place, you want to name your pet fish. You will find thousands of names on our worldwide list. Think of your pet fish, think of your personality and choose wisely, unless you are like my daughter in which case you will be naming a different fish next week anyway. (By the way, she gave up owning fish). Anyway, as I was saying, you might choose according to the fish: Spots, Finny or Stripes. You might choose according to your traditional personality: Bubbles, Flipper or Gill. Or you might choose according to your quirky personality" Bouncer, Jumper or Rover. Any which way, there are thousands of names to chose from. Pick a name, try teaching him or her some tricks and then just sit back and get lost in the serenity of relaxation watching them. Just like people, bunnies enjoy a good meal. 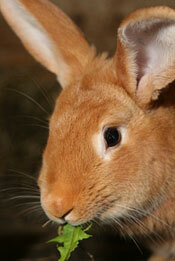 A nice mix of hay, pellets and fresh vegetables as well as fresh water will make your rabbit healthy and happy. An occasional treat can be given, but only in small quantities. Fresh hay should make up the bulk of your rabbit's diet and needs to be readily available at all times. Adult rabbits can eat timothy, grass, and oat hays, while younger rabbits should be fed alfalfa. Alfalfa should not be given to adult rabbits because of the higher protein and sugar content. Hay is important for rabbits because it provides the essential fiber needed for good digestive health and it helps wear down a rabbit's teeth (which continuously grow) for good dental health. Placing hay at one end of a litter box will also encourage the use of the litter box, as rabbits tend to eat hay and poop at the same time. When choosing hay, make sure it looks and smells fresh. Do not choose a hay that looks brown or moldy or no longer smells like fresh cut grass. Store hay in a dry place in a container that allows air flow to keep it from getting moldy. Buying hay in bulk from a local farmer tends to be much more economical than buying bags from a pet store. A varied assortment of vegetables should be a part of your rabbit's daily diet. When choosing vegetables look for something fresh and free of pesticides. Always wash your vegetables thoroughly before feeding them to your rabbit. Feed new vegetables in small quantities until you can judge if your rabbit reacts well to them. Do not feed rabbits the leaves from houseplants as many are poisonous to rabbits. For a full list of poisonous plants, visit the Sacramento House Rabbit Society's page. Fresh water must always be available to your rabbit. If you have a cage, a hanging water bottle is a fine option. Rabbits will also drink from a water bowl. On a hot day you can drop an ice cube or two in your rabbits water dish. If your rabbit does not seem to be drinking enough water you can leave the vegetables fairly wet when you present them. These should be purchased so that they are fresh, as bunnies will turn their noses up at stale pellets. Look for pellets that are high in fiber and low in protein. You will need to limit your rabbit's pellet intake as he/she ages. Pellets that are high in protein can lead to obesity and other health issues in rabbits. Everybody loves a treat now and then, but to ensure your rabbits health they should be given only occasionally. 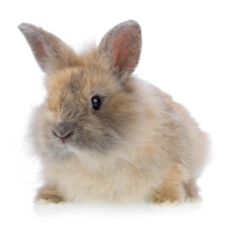 Do not feed your rabbit items high in carbohydrates like breads, crackers, pasta, pretzels, cookies, chips, or cereal. Although branded for rabbits, many commercially-sold bunny treats are high in fat and sugar, such as yogurt chips, and should not be given. Never give chocolate as it is toxic to rabbits. Fruit is the best option for a treat, but again you should give it only in small amounts because of the sugar content. We try to purchase organic fruits that we know are free of pesticides. Like vegetables, be sure that they are thoroughly washed.